The build watermark at the lower right-hand corner of the desktop is no longer present in this build. This does not mean this is the final build as we are not done yet. We’re just now beginning the phase of checking in final code to prepare for the final release. We fixed an issue resulting in reduced Action Center reliability in recent flights. We fixed an issue where if you opened one of the taskbar flyouts (like network or volume), and then quickly tried to open another, it wouldn’t work. We fixed an issue for people with multiple monitors where if the Open or Save Dialog was moved between monitors some elements might become unexpectedly tiny. We fixed an issue resulting in certain apps crashing recently when setting focus to the in-app search box. We fixed an issue resulting in certain games, like League of Legends, not launching/connecting properly in recent flights. We fixed an issue where clicking on web links in PWAs such as Twitter didn’t open the browser. We fixed an issue resulting in certain PWAs not rendering correctly after the app had been suspended then resumed. We fixed an issue where pasting multi-line text into certain websites using Microsoft Edge might add unexpected empty lines between each line. We fixed a crash in recent flights when using the pen to ink in Microsoft Edge’s web notes. We fixed a high hitting Task Manager crash in recent flights. We fixed an issue resulting in Settings crashing for Insiders with multiple monitors when changing various options under Display Settings in the last few flights. We fixed a crash when clicking the Verify link on the Accounts Settings page in recent flights. We fixed an issue where the contents of the Apps & Features page wouldn’t load until the apps list was ready, resulting in the page appearing blank for a time. We fixed an issue where the list on Settings of built-in phrases for the Pinyin IME was blank. We fixed an issue in Narrator where activating Microsoft Edge history items would not work in Scan mode. We made some improvements in Narrator Selection when moving forward in Microsoft Edge. Please try this out and use the Feedback hub app to let us know any issues you encounter. When you use the Ease of Access Make Text bigger setting, you might see text clipping issues, or find that text is not increasing in size everywhere. Narrator sometimes does not read in the Settings app when you navigate using Tab and arrow keys. Try switching to Narrator Scan mode temporarily. And when you turn Scan mode off again, Narrator will now read when you navigate using Tab and arrows key. Alternatively, you can restart Narrator to work around this issue. We fixed the issue where logging out of your user profile or shutting down your PC would cause the PC to bugcheck (GSOD). We fixed a recent issue where color and wallpaper settings weren’t correctly applied after a system upgrade when migration was done in offline mode. We fixed an issue where, when installing a font for a single user (rather than installing as admin “for all users”), the install would fail with an unexpected error saying that the file was not a valid font file. We fixed an issue where explorer.exe would crash if you were in Tablet Mode and opened Task View while in portrait orientation. We fixed an issue where you might unexpectedly get an error saying no supported app is installed, after clicking certain activities in Timeline, even though a supported app was installed. We fixed an issue resulting in the amount of time it took to launch Settings having noticeably increased recently. We fixed an issue where if your PC transitioned from battery power to being plugged in while Windows Update Settings was open and downloading an update, you might unexpectedly see it switch to “You’re up to date” immediately afterwards instead of continuing to show the downloading update. We fixed an issue where the “Logged” drop down box was unexpectedly large in Event Viewer’s filter dialog at high DPI. We fixed an issue resulting in some people unexpectedly seeing an “Ask for permission” message from Microsoft family features for Windows Shell Experience. We fixed an issue where in high contrast the icons for items in Windows Security’s navigation pane wouldn’t change color with the rest of the item when mouse hovering over the item, making them difficult to see. We fixed an issue where when using the Chinese (Simplified) IME it would leak memory on focus switch, adding up over time. We fixed a recent issue that could result in some flakey network connectivity (including networks stuck “identifying”, and stale network flyout connectivity state). Note, there are a variety of factors that may impact your networking experience, so if you continue to experience flakiness after upgrading to this build, please log feedback. Thanks everyone who tried out and shared feedback about the performance visualizations we added to the game bar with Build 17692. We’re taking them offline for now to re-evaluate the best possible approach going forward and work on giving you a great gaming experience on your PC. We’ve updated the messaging in Snipping Tool to more closely align with the commitment we made here. You’ll also notice in the message that we’re exploring renaming our updated snipping experience – bringing together the old and new. The app update with this change hasn’t flighted yet to Fast, but if you have any feedback on the subject we’re open to hearing it. Clicking on web links in PWAs such as Twitter doesn’t open the browser in this build. We’re working on a fix. 3 days ago Microsoft released Windows 10 Insider Preview Build 17746 (RS5) to Windows Insiders in the Fast ring, a couple of tweaks bringing us even closer to RS5 release? We fixed an issue where Narrator would incorrectly report some standard combo boxes as “editable combo box” instead of “combo box”. We fixed an issue in Windows Mixed Reality causing motion controllers to need to be re-paired after initial setup before appearing in the headset. If you still experience this, please file feedback in Feedback Hub. We fixed an issue for Japanese and German where when you reset your PC (from Settings > Update & Security > Recovery) the progress percent would be written in the middle of the string rather than at the end. We fixed an issue when using Italian as your display language where the Yes button to confirm file deletion would sometimes disappear when trying to delete a OneDrive file via File Explorer. Thanks for everyone that’s shared feedback about naming the tabs you’ve set aside in Microsoft Edge. We’re evaluating the right approach for this feature and in the meantime, it has been removed from RS5 builds. You may experience a bugcheck (GSOD) when logging out of your user profile or shutting down your PC. We’re shipping Your Phone app to Insiders in the Release Preview ring, specific to PCs running Windows 10 April 2018 Update (Version 1803, Build 17134). Check it out! If you’re in Skip Ahead we recently flighted version 10.1807.2286.0 of Screen Sketch to you! As mentioned, we’re exploring a new name, so let us know what you think! We’ve also added a delay snip feature, which was one of the top features requests we heard from you. Just click the chevron next to the New button in the app and you’ll now find options to “Snip now”, “Snip in 3 seconds”, and “Snip in 10 seconds”. Oh, and if you have the app open or pinned to your taskbar, you can just right click the icon in the taskbar to get these options, since we’ve added them to the jump list – let us know what you’d like to see next! We fixed an issue where on Windows 10 in S Mode, launching Office in the Store might fail to launch with an error about a .dll not being designed to run on Windows. We fixed an issue where downloading a big file in Microsoft Edge would stop at the 4gb mark. We fixed an issue where clicking the “more” button in Microsoft Edge’s inline definition pop up when reading in recent flights would open a blank pane. We fixed an issue where items in Microsoft Edge’s Settings and More menu would become truncated when the option to increase text size was enabled in Settings. We fixed an issue where using Find on page in Microsoft Edge didn’t highlight/select the current instance of the result. We fixed an issue where after resetting Microsoft Edge saved favorites would get stuck showing a star next to the favorite name rather than populating the website’s favicon (if available). We fixed an issue where text copied from certain websites in Microsoft Edge couldn’t be pasted into other UWP apps. We fixed an issue impacting Teams resulting all unsent typed text disappearing following the completion of an emoji composition (for example being turned into a smiley). We fixed an issue from recent flights where hiberfil.sys would unexpectedly reappear after upgrading even if it had been disabled. We fixed an issue that was highly impacting Start performance and reliability in the last few flights. We’ve made some adjustments to improve the time it takes to render the Task Manager window on launch. We fixed an issue that could result in the left side of the Microsoft Store’s My Library section becoming unexpectedly blurry until moused over. We fixed a recent issue resulting in an increase in the amount of time taken to open large files in Notepad when word wrap was enabled. We fixed an issue where after setting a pin and removing it, the option to setup a pin from the lock screen could get stuck as the default login method, rather than the login screen remembering your preferred login method. We fixed an issue resulting in WSL’s tar and curl commands not working on x86 devices. We fixed an issue resulting in text prediction and shapewriting not working when typing in Russian using the touch keyboard. Your PC will bugcheck (GSOD) when deleting a local folder that is synced to OneDrive. When you upgrade to this build you’ll find that the taskbar flyouts (network, volume, etc) no longer have an acrylic background. When using Narrator Scan mode Shift + Selection commands in Microsoft Edge, the text does not get selected properly. After setting up a Windows Mixed Reality headset for the first time on this build with motion controllers, the controllers may need to be re-paired a second time before appearing in the headset. We’re investigating an issue where IMEs are not able to type East Asian characters into certain text fields when using Microsoft Edge. Thanks for everyone who reported this. Builds are rolling out very fast, last week 17730, today already another one, Windows 10 Insider Preview Build 17733 (RS5) to Windows Insiders in the Fast ring. With Build 17666 we started our journey bringing dark theme to File Explorer. Today’s build marks the turning point where we’ve finished what we set out to do for this release. Thank you to all Insiders that have shared feedback during this time! Thanks everyone for your feedback about the XAML shadows we added recently. We’re taking them offline for the moment while we work on addressing some of the things you shared with us. You will also notice that the acrylic has been removed from some popup controls. They will be back in a future flight. We fixed an issue from recently flights where the touch keyboard might become invisible on the screen. We fixed an issue in recent flights where components of a notification with a progress bar (like the one when using nearby sharing) might flash every time the progress bar updated. We fixed an issue where on certain devices if you reset your device and chose to keep files, after logging back into Windows the Sound Settings page would be unresponsive. We fixed the issue where the High Contrast dropdown flashed when the values were changed. We fixed the issue where Narrator couldn’t access all the emoji in the Touch Keyboard’s emoji panel. We fixed the issue where Narrator didn’t say “selected” after image was selected using the keyboard. We fixed the issue where Touch Narrator’s focus remained on the word even after deselecting it. We fixed the issue where the Narrator key got sticky when using the Mouse Mode command. We fixed the issue where Narrator’s Command Restore Default dialog was not read by Narrator. We fixed the issue where Narrator’s copy and paste feature would say “selection removed” but the selection remained. We fixed the issue where Narrator automatic dialog read the Command key Assignment dialog twice. We have improved the Narrator experience when moving by character and announcing phonetic pronunciations. We fixed the issue where Narrator focus and keyboard focus got out of sync after navigating TreeView controls. We fixed the issue where Narrator misread the Calculator app’s display on focus for values over 100. We fixed the issue where when launching Narrator QuickStart using the link in Narrator Settings, the Narrator icon would appear in the taskbar. We fixed the issue where Narrator couldn’t read the label of the Word document recovery dialog. We fixed the issue so Narrator can now navigate the New Notepad Status Bar contents. We fixed the issue where Narrator Scan mode navigation didn’t progress after tabbing onto a link. We fixed the issue where Narrator navigated out of the Microsoft Edge browser window using Scan mode on some web pages. We fixed the issue where Narrator crashed when Developer Mode was in use and the generated string to display was null. We fixed the issue where Narrator continuous reading got stuck on a table element in some HTML emails. Clicking a link to launch one app from another app may not work for some Insiders. We’re investigating. On Windows 10 in S Mode, launching Office in the Store may fail to launch with an error about a .dll not being designed to run on Windows. The error message is that a .dll “is either not designed to run on Windows or it contains an error. Try installing the program again…” Some people have been able to work around this by uninstalling and reinstalling Office from the Store. When using Narrator Scan mode you may experience multiple stops for a single control. An example of this is if you have an image that is also a link. This is something we are actively working on. We’re investigating a potential increase in Start reliability and performance issues in this build. The Second RS5 Bug Bash is on so make sure you open the feedback hub & do as many quests as you can! You love your phone. So does your PC. Coming soon, we’re bringing the first set of features to Your Phone app for Windows Insiders with an Android device. Snap a pic on your Android, see it on your PC. You can finally stop emailing yourself photos. With Your Phone app, your Android’s most recent photos sync to your PC automatically. Need to add a photo to your presentation? Want to spruce up that selfie with some Windows Ink action? Just drag and drop. And rolling out in the coming weeks, Android users might also start to notice a desktop pin taking you directly to Your Phone app – for quicker access to your phone’s content. To light up this experience, open Your Phone app. You will receive an app from Microsoft which you must download to your mobile phone and follow the setup prompts. Android 7.0 and above are compatible with Your Phone app. For PCs tied to the China region, Your Phone app services will be enabled in the future. For iPhone users, Your Phone app helps you to link your phone to your PC. Surf the web on your phone, then send the webpage instantly to your computer to pick up where you left off to continue what you’re doing–read, watch, or browse with all the benefits of a bigger screen. With a linked phone, continuing on your PC is one share away. From Joe Belfiore’s blog post on Microsoft 365, check out what we’ve got in store for you in a future WIP release. We’re working hard to bring these experiences forward soon. Reliability: We have made improvements in Narrator reliability. Scan Mode: Reading and navigating while in Scan Mode has been improved. Selecting text in Scan Mode has also been improved. Selecting forward in Edge has some known issues that we are actively investigating. QuickStart: The link in settings to relaunch the QuickStart should now reliably be working and will launch from the very first Welcome page. The QuickStart should also more reliably take focus when Narrator is launched, which means Narrator should start reading it automatically. Providing Feedback: The keystroke to provide feedback has changed. The new keystroke is Narrator + Alt + F. This will work both in the Standard and Legacy layouts. Note: The Legacy layout also allows you to use Narrator + E to send us feedback. Move Next, Move Previous, and Change View: When changing Narrator’s view to either characters, words, lines or paragraphs the Read Current Item command will read the text of that specific view type more reliably. Keyboard command changes: The keystroke to Move to beginning of text has changed to Narrator + B (was Narrator + Control + B), Move to end of text has changed to Narrator + E (was Narrator + Control + E). Braille: Improved usage of Braille commanding when using the Narrator key from the braille display. For more information about Narrator new keyboard layout and other known issues, please refer to Intro to New Narrator Keyboard Layout doc (aka.ms/RS5NarratorKeyboard). We fixed the issue resulting in the Clock & Calendar flyout sometimes not appearing until you clicked Start or the Action Center. This same issue impacted both notifications and the taskbar jump lists appearing. Thank you to all the Windows Insiders who gave feedback on this issue. We fixed an issue resulting minimized apps having squished thumbnails in Task View. We fixed an issue where when open Task View would crash if you pressed Alt+F4 and Timeline was enabled. We fixed an issue where Timeline’s scrollbar didn’t work with touch. We fixed an issue where the top border of UWP apps would still be accent colored even if having an accent colored border was disabled in Settings. We fixed an issue resulting in the tops of apps in tablet mode being clipped (i.e. missing pixels). We fixed an issue where the taskbar would stay on top of full-screened apps if you had previously hovered over any grouped taskbar icon to bring up the extended list of previews, but then clicked elsewhere to dismiss it. As some keen eye’d Insiders noticed, we’ve been working on our scaling logic and you should find apps resize better now after monitor DPI changes. As always, we appreciate feedback in this space, so let us know if you have any issues. We fixed an issue where Find on Page in Microsoft Edge would stop working for open PDFs once the PDF had been refreshed. We fixed an issue where Ctrl-based keyboard shortcuts (like Ctrl+C, Ctrl+A) didn’t work in editable fields for PDFs opened in Microsoft Edge. We fixed an issue where the icons in the Microsoft Edge extension pane were drawing unexpectedly close to the toggles. We fixed an issue where the enabled/disabled state of Fast Startup would be reset to default after upgrading. After upgrading off of this build your preferred state will persist. We fixed an issue where the Windows Security icon in the taskbar notification area (systray) would become a little bit blurrier every time there was a resolution change. We fixed an issue where the USERNAME environment variable was returning SYSTEM when queried from an un-elevated Command Prompt in recent builds. We fixed the issue where if the Narrator key is set to just Insert, sending a Narrator command from a braille display should now function as designed regardless if the Caps Lock key is a part of the Narrator key mapping. We fixed the issue in Narrator’s automatic dialog reading where the title of the dialog is being spoken more than once. We fixed the issue where Narrator won’t read combo boxes until Alt + down arrow is pressed. We’re progressing in our work on adding dark theme in File Explorer and the Common File Dialog – you’ll notice improvements in this build, although we still have a few things left to do. You may see some unexpectedly light colors in these surfaces when in dark mode and/or dark on dark text. There is an issue impacting WDAG, Remote Desktop and Hyper-V. Remote Desktop Client (mstsc.exe) users will see a misleading error dialog complaining about low virtual memory when a connection is being established. As a workaround, they can ignore that error dialog by just leaving it there. If they dismiss the error dialog, the connection will be severed. And users won’t be able to use enhanced session in Virtual Machine Connection (vmconnect.exe). As a workaround, they can stick with the non-enhanced session. When you set up Microsoft Edge as your kiosk app and configure the start/new tab page URL from assigned access Settings, Microsoft Edge may not get launched with the configured URL. The fix for this issue should be included in the next flight. On Build 17723 (but not Build 18204), you may see the notification count icon overlapping with the extension icon in the Microsoft Edge toolbar when an extension has unread notifications. On Windows 10 in S Mode, launching Office from the Store may fail to launch with an error about a .dll not being designed to run on Windows. The error message is that a .dll “is either not designed to run on Windows or it contains an error. Try installing the program again…” Some people have been able to work around this by uninstalling and reinstalling Office from the Store. When using Narrator Scan mode Shift + Selection commands in Edge, the text does not get selected properly. When using a Windows Mixed Reality immersive app, saying “Flashlight on,” may fail to activate the flashlight feature even though the status appears as active on the Start menu. A few days ago Microsoft released Windows 10 Insider Preview Build 17704 (RS5) to Windows Insiders in the Fast ring in addition to those who opted in to Skip Ahead. Most eye-catching on this build for me is the speed, my devices are way faster than before, seems like the performance hit we took from spectre & meltdown patching is no longer affecting us. yay! Bug bach is still on make sure you run some of the quests and give feedback. New Microsoft Edge Beta logo: We’re introducing a new Edge “BETA” icon to help users visually differentiate between officially released versions of Microsoft Edge and preview builds where Microsoft Edge is in ongoing development. This logo only will be seen on Insider preview builds. New design improvements: As we continue to evolve how Microsoft Edge leverages the Fluent Design System for a more natural and usable experience, you may notice some subtle tweaks to the look of the tab bar in Microsoft Edge. In this build, we’re adding a new depth effect to the tab bar to help emphasize the active tab. Redesigned “…” menu and Settings: We’ve heard your feedback that the Microsoft Edge settings were getting a little complex for a single page. In this release, we’re overhauling the Microsoft Edge settings to make it easier to navigate, put commonly-used actions front and center, and allow more customization than ever. Customize toolbar items for Microsoft Edge: When you click “…” in the Microsoft Edge toolbar, you’ll find a refined menu that puts common commands like “New tab” and “New window” front and center. We’ve also added the much-requested ability to customize which icons appear in the Microsoft Edge toolbar – you can remove them all for a tidier look or add as many as you like to bring your favorite functionality to your fingertips! Last (but not least), this build breaks Settings out into subpages by category, with better-organized options and less clutter on each page. The new Settings experience is designed to match the experience in the Microsoft Edge hub, for a quicker and more familiar experience. “Allow” is the default and will continue to play videos when a tab is first viewed in the foreground, at the site’s discretion. “Limit“ will restrict autoplay to only work when videos are muted, so you‘re never surprised by sound. Once you click anywhere on the page, autoplay is re-enabled, and will continue to be allowed within that domain in that tab. “Block” will prevent autoplay on all sites until you interact with the media content. Note that this may break some sites due to the strict enforcement – you may need to click multiple times for some video or audio to play correctly. Some sites may not work at all – in those cases, you can enable or block autoplay on a case-by-case bases from the website permissions pane (click the icon next to the address in the Address Bar). If you encounter sites that do not work as expected in the “Limit” or “Block” settings, please file feedback in the Feedback Hub app and let us know which site you were using, so we can work with developers and continue to refine the feature. New PDF icon: Windows 10 now has a new icon for PDFs in File Explorer when Microsoft Edge is your default PDF handler. Skype for Windows 10 gets a big update! This new Skype for Windows 10 update brings all the latest and greatest Skype capabilities to Windows 10 users. Best in class calling experience – We’ve added several new calling features to make Skype’s calling experience even better than before. Flexible group call canvas – Customize your group call experience and decide who appears in the main call canvas. Simply drag and drop people between the call canvas and the overflow ribbon to select who you want to focus on. Take snapshots – Use snapshots to capture images of important moments within a call. Snapshots makes sure you never forget important memories like your grandkid’s funny antics or crucial information like the content that’s been screenshared during a meeting. Easily start screensharing – We’ve made sharing your screen during calls even easier. Look for the ability to share your screen with the top level call controls. Customizable themes – Choose a color and theme for your Skype client through your application settings. And much more – Improvements to our media gallery, notifications panel, @mentions experience and more! In addition to all the latest enhancements, with this update you can expect more frequent improvements to your Skype for Windows 10 experiences going forward via updates from the Microsoft Store. For more information, check out this Skype Community post! To showcase improvements in our privacy tools made in our next release of Windows, we are providing Windows Insiders early access to new improved features coming to the Windows Diagnostic Data Viewer. At Microsoft, we understand that your data is your data. That’s why we are committed to providing full transparency on what diagnostic data Windows collects, when it is collected, and how you can control what you share. We care about your privacy and helping you build trust and confidence in our products. We first introduced the Windows Diagnostic Data Viewer on Data Privacy Day earlier this year. The Windows Diagnostic Data Viewer helps you understand exactly what diagnostic data is received from your Windows device. Available to anyone through the Microsoft Store, the tool provides you full transparency when it comes to diagnostic data. Software Setup and Inventory such as installed apps and device update information. Each of these categories are important so that we can diagnose performance issues and ensure your device is secure. The viewer provides you full insights into exactly what we collect so that you are aware of what’s happening on your device. Through this tool, you can do things like search by keyword, filter data by category, export the data to a separate file, and provide feedback about the tool or a specific data point. We are excited to say that users can now directly view Problem Reports that have or will be sent to Microsoft. Problem Reports help us identify crashes and other disruptions on your device so that we can improve your Windows experience. On the Diagnostic Data Viewer, users can view specific details about each report collected such as when it was sent and what application or component caused the report to be created. Along with the ability to see Problem Reports, the Diagnostic Data Viewer comes with new changes to the UI as well. For example, the filter feature to view data points by category is now directly to the right of the search bar, and the export data feature now exists at the top right of the tool. 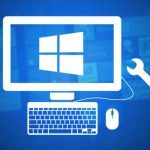 Whether you’re new to Windows, or If you’ve just updated your OS to the new build, you’ll want to check out these steps. You can get the Diagnostic Data Viewer on your Windows device through the Microsoft Store. Once you install the tool, open the app through the Start menu. If you see “No events found”, go to “Open diagnostics and feedback menu in settings panel” on the bottom left of the tool (the middle icon). On this page, double check that “Diagnostic Data Viewer” is enabled. Once it is enabled, it will take some time for the tool to show events. You can hit the blue refresh button to the right of the search bar to see if any events have been found. Windows Insiders get an exclusive look at this new feature releasing to Diagnostic Data Viewer, and we couldn’t be more excited to see the amazing feedback to come. Our promise to upholding the highest standards of privacy will continue to be a top concern. When you use our products and services, we want you to feel confident that having great experiences and features does not mean sacrificing your privacy. It’s your device. You deserve to know what’s happening on it. In making Windows 10 better and more secure, we will continue to make your privacy our top concern. This means providing you with the all the right tools to empower you to take control of your data. From prioritizing full transparency of diagnostic data to helping you take action about what you share, we are here to provide you with the power to know what’s on your device and who you share it with. We cannot wait to hear more from you about making privacy stronger on Windows 10. We welcome you to submit feedback related to the Diagnostic Data Viewer through feedback hub. You can also submit feedback regarding our approach to privacy here. There’s a new viewing mode for you to try out, designed to improve the visibility of your video when you are in a very bright environment. This feature uses the light sensor on your device to detect your ambient light, and automatically adjusts your video accordingly. To turn it on, navigate to Settings > Apps > Video playback, and turn on “Adjust video based on lighting”. We’d love feedback as we work to refine this feature for the next Windows release! Please use the Feedback Hub and file feedback under Category: “Devices and Drivers”, Subcategory: “Video Playback”. Hit “Recreate my problem” and start the capture of the video playback you would like to give feedback on! Go to Device Manager. If you have something that sounds like “Light Sensor” under Sensors, you likely have a light sensor. Currently, not all devices have light sensors that are well-calibrated. If you are on a device where video looks really, really bad with this setting on, please let us know via the Feedback Hub! Windows now shows you insights about how its AI has been helping you type with efficiency. If you use the software keyboard on Windows, there are many features built into the typing experience that leverage AI and ML to help you be more efficient. Some examples include autocorrecting your spelling mistakes, prediction of the next word you would type, word suggestions as you start typing so you don’t have to type the full word and the number of words you’ve typed by swiping over the letters on the software keyboard (yes, you can do that, try it out if you have not yet). Windows now shows you stats about each of these features. Go to Settings > Devices > Typing and click on “View typing insights” link to see them. Currently these stats cover the typing insights for software keyboard usage and hardware keyboard prediction features. If you like to see additional insights in the future releases, head over to the Feedback Hub and share your thoughts. Have you ever wanted to use your own fonts from your account on a shared school or work PC, but couldn’t because you didn’t have the administrator privileges required to install the fonts? Well, we’ve heard your frustration about this and have made some changes. In the past, fonts in Windows have always been installed for all users. Because that is a system-wide change, it always required admin privilege. The need for an admin was reflected in the user interface. For example, if you browse in File Explorer to a folder containing a font file and right-clicked on the file to bring up the context menu, then the “Install” option would appear with the security badge, which means that it requires an admin. If you tried to install a font but didn’t have admin privileges, then you would be presented with a User Account Control dialog, so that an admin could approve the change. If you’re a non-admin user and often need to install (or uninstall) fonts, then that could be a big hassle. In the Windows 10 1803 feature update, we introduced fonts in the Microsoft Store. To enable that capability, we needed to make changes deep in Windows to allow a font to be installed for a specific user rather than system-wide. That’s why no admin action is needed when fonts acquired in the Store are installed. Now we’ve extended this further to include font files that you obtain from other sources and want to install. Now when you right-click on a font file in File Explorer, you’ll see two options. “Install for all users” provides the past, system-wide install capability and requires an admin. But now there is another option: “Install” allows any user, including non-admin users, to install a font for their own use. Often font files come within a compressed folder (that is, a .zip file). The “Install” context-menu option isn’t available in File Explorer when you view the contents of a compressed folder, but you can double-click the font file within the compressed folder to open it in the font previewer, and that provides an “Install” button. In the past, the button in the font previewer had the security badge, and it would do a system-wide install, requiring an admin. Now the security badge is gone, and the “Install” button in the font previewer performs a single-user font install, which can be done by non-admins. Let us know what you think of this no-admin-required, single-user capability for installing fonts! This change will apply to any XAML based text boxes on this build. We’ve continued to work on the Current threats area on the Virus & threat protection section, which now displays all threats that need action. You can quickly take action on threats straight from this screen. With Controlled folder access you can help prevent ransomware and other destructive malware from changing your personal files. In some cases, apps that you normally use might be blocked from making changes to common folders like Documents and Pictures. We’ve made it easier for you to add apps that were recently blocked so you can keep using your device without turning off the feature altogether. When an app is blocked, it will appear in a recently blocked apps list, which you can get to by opening the Virus & threat protection section, clicking Manage settings under the Ransomware protection heading, and then Allow an app through Controlled folder access. After the prompt, click the plus button and choose Recently blocked apps. Select any of the apps to add them to the allowed list. You can also browse for an app from this page as well. In the Device performance & health section, we’ve added a new assessment for the Windows time service. If we detect that your device’s time is not properly synced with our time servers and the time-syncing service is disabled, we’ll provide the option for you to turn it back on. We’re continuing to work on how other security apps you’ve installed show up in the Windows Security app. There’s a new page called Security providers that you can find in the Settings section of the app. Click Manage providers to see a list of all the other security providers (including antivirus, firewall, and web protection) that are running on your device. Here you can easily open the providers’ apps, or get more information on how to resolve any issue that they have reported to you through the Windows Security app. This also means you’ll see more links to other security apps within the Windows Security app. For example, if you open the Firewall & network protection section, you’ll see the firewall apps that are running on your device under each firewall type (domain, private, and public networks). Task Manager now includes 2 new columns in the “Processes” tab to show energy impact of the running process on their system. This should help our customers to understand which apps/services are using the maximum power vs. the least power-hungry apps. The metric takes CPU, GPU & Disk into evaluation when calculating power usage. Power usage: This column will provide an instantaneous view of apps/services using power. Power usage trend: This column provides a power usage trend over 2 mins for each running apps/services. This column will be blank when you start an app but will populate based on the power usage every 2 mins. Narrator Quickstart: When Narrator launches, a new Quickstart tutorial experience will be available. The Narrator Quickstart will help you get up and running quickly with Narrator. It teaches the basics of using Narrator, such as learning the keys on your keyboard, navigation, the most used commands etc. At the end of the Quickstart there is a link to the User Guide where you can continue learning about Narrator. When the Narrator Quickstart launches, Scan Mode may not reliably be on by default. We recommend going through the Quickstart with Scan Mode on. To verify that Scan Mode is on, press Caps Lock + Space. Narrator Keyboard improvements: We have added the scan mode secondary action command and Spell current selection command. Please refer to Intro to New Narrator Keyboard Layout doc for more information. Updated Ease of Access > Display Settings UI: We’ve made some tweaks to the Make text bigger section under Settings > Ease of Access > Display Setting to make it a bit clearer. As we mentioned with Build 17661, we’re in the process of consolidating and modernizing our snipping experiences in Windows. When you upgrade to today’s build you’ll see a note about this in the Snipping Tool. Currently, we are not planning to remove the Snipping Tool in the next update to Windows 10 and the consolidation work underway will be a feedback and data-driven decision. If you haven’t already, please take a moment to try out the Screen Sketch app and let us know how it’s working for you. Screen Sketch gives you all of the functionality of the Snipping Tool with additional improvements. You can launch the app directly and start a snip from there, or just press WIN + Shift + S, click the back of your pen, or press the Print Screen key (the later two you will need to turn on in Settings – details here). New Windows Image: We’re adding a new base image to the Windows Server container collection. In addition to nanoserver and windowsservercore container images, the new windows image is now available. This image carries even more components than its nanoserver and servercore siblings, meaning it can support applications that have additional API dependencies. Go to https://aka.ms/windowscontainer to learn more and get started. Group managed service account reliability: We’ve improved the scalability and reliability of containers that use group managed service accounts (gMSA) to access network resources. You should see fewer authentication errors when using a single gMSA with multiple container instances. Additionally, you no longer need to set the container hostname to be the same as the gMSA. We also fixed a bug that prevented you from using gMSAs with Hyper-V isolated containers. Introducing Quick Actions: While using an Immersive Application, Quick Actions allow users to easily Go Home, view the time, or launch Mixed Reality Capture tools (Photo, Video, and more). To launch Immersive Application Quick Actions, simply press the Windows key or use the Bloom gesture. We wanted to take a moment to remind you that you may see a screen that looks like the image shown below after upgrading. Don’t worry – all your stuff is still there! We know some of you bought and setup your devices a long time ago – the features available in Windows have changed since then, so we’re giving you an opportunity to go through the setup questions you may have missed to ensure your device has the best setup possible. Click “Let’s Go” to go through those setup questions or click “Skip for now” if you want to go straight to your desktop. The conditions for showing this page are cloud programmable and may change over time – if you haven’t seen this page on previous upgrades it’s very likely that you will see it with today’s build. Have you tried it out yet? With the Microsoft Font Maker app you can use your pen to create a custom font based on the nuances of your own handwriting – currently available via the Microsoft Store and we’d love to hear your feedback! Install the fonts you create to add a personal touch to everything you do! Note: Currently you can use the app to create a basic English font – interested in support for more characters and languages? Let us know! Thank you for your continued support of testing Sets. We continue to receive valuable feedback from you as we develop this feature helping to ensure we deliver the best possible experience once it’s ready for release. Starting with this build, we’re taking Sets offline to continue making it great. Based on your feedback, some of the things we’re focusing on include improvements to the visual design and continuing to better integrate Office and Microsoft Edge into Sets to enhance workflow. If you have been testing Sets, you will no longer see it as of today’s build, however, Sets will return in a future WIP flight. Thanks again for your feedback. If you have a Surface Studio, you should be able to update to Build 17698. Previously – Surface Studios were unable to update to Builds 17682, 17686, and 17692. We fixed an issue that could result in seeing a 0x80070057 error in Windows Update when upgrading to the last few flights. We fixed an issue from the last two flights resulting in the lock screen crashing in a loop when Picture Password was selected. We fixed an issue resulting in some Insiders experiencing a high volume of Start reliability issues in the last few flights. We fixed an issue where if you used WIN+A to open the Action Center you couldn’t immediately press Esc to close it. If clipboard history isn’t enabled, you can now enable it straight from WIN+V. Have multiple items in your clipboard history (WIN+V)? You can now start fresh in one shot by clicking the new clear all button. We fixed an issue resulting in noticeable lag when launching Task View on high DPI devices. We fixed an issue where Task View would still have a launch animation if “Show animations in Windows” was turned off. We fixed an issue where some cards in Timeline would appear with the text drawn twice, once normally, and a second time dimmer and with slightly different line spacing. We fixed an issue resulting Cortana crashing when attempting to edit reminders in the last few flights. We fixed an issue when using Cortana causing search results to sometimes not do anything when clicked in the last few flights. We fixed an issue where the People flyout was using the old Microsoft Store icon. We fixed an issue resulting in Credential Manager having white on white text when using Windows in dark theme. We fixed an issue where the string “Don’t use the index when searching…” in File Explorer’s Folder Options dialog had corrupted text. We’ve heard your feedback and are updating our sorting by size filters in File Explorer to be something a bit more modern. When you upgrade to this build you’ll find Tiny, Small, Medium, Large, Huge and Gigantic are now defined as 0 – 10KB, 16KB – 1MB, 1 MB to 128 MB, 128 MB – 1 GB, 1 GB – 4 GB, and > 4 GB, respectively. We’ve added some new keywords to help you get to the settings you’re looking for – for example “rename” will now find “View your PC name” (from which you can rename your PC). Please log feedback if there are any others that you’d like us to add! We fixed an issue resulting in Settings crashing when changing the default browser in the last flight. We fixed an issue where after a reboot, settings for Background Apps would revert to default. We fixed an issue where on demand features that were less than 1 MB (such as RSAT: IPAM Client) would fail to install. We fixed an issue where if your Bluetooth was turned off when upgrading to recent builds, the toggle for turning on/off Bluetooth wouldbe missing in the Settings page and the Bluetooth quick action button in the Action Center will not work. Note: this fix willprevent the issue from happening again, however if you are already impacted you will need to uninstall the radioadapter and re-enumerate it to get yourself back into a good state. You can do this by opening Device Manager, finding the radio adapter listed under Bluetooth, right-clicking and selecting Uninstall (make sure “delete the driver software for this device” is left unchecked), clicking Uninstall, then going to the Action menu and selecting “Scan for hardware changes”. We fixed an issue resulting in certain Bluetooth devices, like the NOAHLink, not connecting after upgrading. We fixed the bug that was impacting driver testing scenarios where executing HLK Component/Device driver tests might havecaused abugcheck that blocked test execution. We fixed the issue causing the Game bar to crash on x86 machines. To improve clarity, we’ve separated Settings > Privacy > Speech, Inking & typing into two settings: Settings > Privacy > Speech and Settings > Privacy > Inking & typing personalization. We fixed the issue that caused Settings > Ease of Access > Narrator, Choose Keyboard settings to be missing text as well as visible values in the two combo boxes. We added DTS:X to the list of spatial audio technologies you can use. We addressed a crash in the audio troubleshooter if querying the volume or mute state failed. We fixed an audio service issue that could cause some previously-recoverable hangs to become unrecoverable. We’ve updated Microsoft Edge so that even if a tab is not actively playing audio you will now be able to preemptively mute it from the context menu when right-clicking the tab. We fixed an issue for certain languages where when loading tabs in Microsoft Edge you may briefly see a formatting placeholder (%) in the tab name. We fixed an issue where drag events in Microsoft Edge (after moving a tab) could arrive out of order, leading to not being able to close that window. We fixed an issue where Microsoft Edge would exit full screen video mode if focus was set to an Outlook window on a secondary monitor. We fixed an off-by-one error when using the up arrow to go through your command history in Command Prompt in recent flights. Thanks everyone who shared feedback about the Microsoft Pinyin IME experience introduced with Build 17661. With today’s build the experience will be returning to the one that shipped with the April 2018 Update, while we take your feedback into consideration. We fixed an issue resulting in text being unexpectedly finalized when typing using the Japanese IME in Outlook 2016. We fixed an issue where when using the Emoji Panel in a win32 app the first letter of the search might get dropped. When using the touch keyboard you’ll find that the clipboard button is now always visible in the candidate pane. Tapping it will bring up your clipboard history for you to browse and paste from. Shapewriting on the touch keyboard is now available when using English (Australia)! We have fixed an issue where if you had previously performed a Find using Narrator’s Find feature and you brought up the dialog the text would not have been cleared from the field. We’re working on adding dark theme in File Explorer and the Common File Dialog, but we still have some things to do. You may see some unexpectedly light colors in these surfaces when in dark mode and/or dark on dark text. We’re working on improving settings for HDR videos, games and apps in a new Windows HD Color page under System > Display. Some things temporarily will not work; notably, some users will not be able to enable/disable HDR display support. Applications that use ICC color profiles may encounter errors such as Access Denied. This includes the Color Management control panel, and color profile switching on certain Surface devices. When you use the Ease of Access > Make Text bigger setting, you may see text clipping issues, or find that text is not increasing in size everywhere. Also if your System > Display > Scaling and layout is not set to 100%, some text might appear unexpectedly tiny after reverting the “Make text bigger” value back to 0%. Windows Mixed Reality may get stuck after going to sleep and display a persistent error message in Mixed Reality Portal or a “Wake up” button that doesn’t work. To work around this, restart your computer or explorer.exe to use Windows Mixed Reality again. Note: If your target environment is a Windows VM, please apply the above workaround from within the VM as well. You will need to repeat the above workaround for new network adapters created in case of a system reboot. If you install any of the recent builds from the Fast ring and switch to the Slow ring – optional content such as enabling developer mode will fail. You will have to remain in the Fast ring to add/install/enable optional content. This is because optional content will only install on builds approved for specific rings. There has not yet been a RS5 build released to the Slow ring. We are aware of an issue causing Narrator speech to fade when waking from sleep mode. We are working on a fix. When Narrator starts you will be presented with a dialog that informs the user of the change to Narrator’s keyboard layout. This dialog may not take focus or speak after Narrator has started. We recommend that you Alt + Tab to this dialog, which should cause it to read. When using Scan mode you may experience multiple stops for a single control. An example of this is if you have an image that is also a link. This is something we are actively working on. If you change Narrator’s default Narrator key to just caps lock the Insert key will continue to function until the caps lock key is used as the Narrator key or if the user restarts Narrator. If the Narrator key is set to just Insert and you attempt to send a Narrator command from a braille display then these commands will not function. As long as the Caps Lock key is a part of the Narrator key mapping then braille functionality will work as designed. There is a known issue in automatic dialog reading where the title of the dialog is being spoken more than once. The state of a Narrator command such as toggling Scan Mode on and off, volume up and down, voice speed, changing verbosity and context verbosity commands may not be announced when executed. The framerate counter chart sometimes doesn’t show up correctly over known games. The CPU chart shows an incorrect percentage of usage in the top left corner. Charts in the performance panel don’t update immediately when clicking through tabs. The user’s gamerpic doesn’t display correctly, even after signing in. Missed the summit yesterday? no worries the recordings are available. Awesome content! Definitly worth a look! Swiftkey is here! you might be using this on your phone make sure you try this it’s awesome! SwiftKey gives you more accurate autocorrections and predictions by learning your writing style – including the words, phrases and emoji that matter to you. It’s available for Android and iOS, and starting with today’s build SwiftKey will now power the typing experience on Windows when using the touch keyboard to write in English (United States), English (United Kingdom), French (France), German (Germany), Italian (Italy), Spanish (Spain), Portuguese (Brazil), or Russian. Control whether media can play automatically: One common piece of Insider feedback for Microsoft Edge is that you want more control over autoplay videos. In this build, we’ve added a new setting in Microsoft Edge to allow you to control whether sites can autoplay media. You can find an early preview of this setting under “Advanced Settings,” “Allow sites to automatically play media.” We’ll be improving these options and adding additional controls in upcoming flights and in response to your feedback, so stay tuned! EDIT: Woops! We got a little too excited about this – this change is actually coming in a new build in the next few weeks. Stay tuned! WebDriver improvements: Beginning with this build, we’re making it easier than ever to automate testing in Microsoft Edge using WebDriver. First, we’ve made WebDriver a Windows Feature on Demand, so you no longer need to match the build/branch/flavor manually when installing WebDriver. When you take new Windows 10 updates, your WebDriver binary will be automatically updated to match. To install WebDriver, just turn on Developer Mode in Windows 10 Settings, or install the standalone feature under the “optional features” Settings page. We’ve also updated WebDriver to match the latest W3C Recommendation spec with major new improvements. You can learn all about these changes over at the Microsoft Edge Dev Blog. Make Text Bigger: We’ve heard your feedback and are excited to announce that the ability to increase text size across the system is back and better than ever! When you go to Settings > Ease of Access > Display in today’s build, you’ll find a new setting called “Make everything bigger” – this slider will adjust text across the system, win32 apps, and UWP apps. That means you can now make text bigger in Start menu, File Explorer, Settings, etc., without having to change the overall scaling of your system. Please try it out and share feedback! Note: We’re investigating some issues with text clipping, not increasing in size everywhere, and problems when changing DPI settings. Narrator Standard Keyboard Layout: Narrator now ships with a new keyboard layout that is designed to be more familiar to screen reader users. Please refer to the accompanying documentation for details on these changes (Intro to New Narrator Keyboard Layout doc). Automatic Dialog Reading: Narrator will now automatically read the contents of a dialog box when brought to the foreground. The experience is for Narrator to speak the title of the dialog, the focused element within the dialog and the static text, if any, at the top of the dialog. For example, if you try to close a document in Word with unsaved changes, Narrator will speak the title “Microsoft Word,” the focus “Save button” and the static text within the dialog. Narrator Find: You now have the ability to search for text using Narrator’s new Find feature. If the text is found Narrator will move to the found item. Please refer to the accompanying keyboard layout documentation for command mapping. List of Objects: Narrator now has the ability to present a list of links, headings or landmarks present in the application or content. You are also able to filter the results by typing in the list or the text field of the window. Please refer to the accompanying keyboard layout documentation for command mapping. Selection in Scan Mode: Along with being able to select content in Narrator’s scan mode using Shift-selection commands, you can now also select a block of data by first moving to one end of the block and pressing F9, moving to the other end of the block and pressing F10. Once F10 is pressed the entire contents between the two points will be selected. Stop on Controls in Scan Mode: Scan mode is a feature of Narrator that lets you use just a few keys to move around your screen. Scan mode is already on by default in Edge and you can toggle it on and off by pressing Caps lock + Spacebar. While you’re in scan mode, you can press the Up and Down arrow keys to read different parts of the page. With this update, the press of a Down arrow in Scan Mode will stop on interactive elements, so that they are easier to use. An example of this new behavior is that if you are reading a paragraph with multiple links, Narrator will stop on these links when you press the Down arrow. We would love to hear what you think as you try out these improvements. This link will take you to the Narrator section of the Feedback Hub, or you can press Caps + E while Narrator is running. Audio controls. Change your default audio output device and mute or adjust the volume of games and apps running. Performance visualizations. See your game’s framerate (FPS), CPU usage, GPU VRAM usage, and system RAM usage. New options are now available for Game Mode that are expected to improve the gaming experience on desktop PCs. Gamers on PCs with many background processes may also see performance improvements when they toggle “Dedicate resources” in Game bar. Find software downloads faster in Search! Continuing our theme of improving the search preview experience, we’re rolling out an update to make it easier to find official download pages for Windows software you want to install. The team is continuing to develop this experience and more is coming. Check out the example below, and let us know what you think! This is a server-side* change so Insiders may see this update outside of Build 17692. *Some experiences may vary by region. Starting with this build you can stream audio to both the headset and the PC speakers simultaneously. To try it out make sure that you can hear sound from your normal PC speakers when not running the Mixed Reality Portal (MRP) and from the headset’s audio jack or built-in headphones when mixed reality is running. Then close all apps, including MRP, and go to Settings > Mixed reality > Audio and speech to turn on “When Mixed Reality Portal is running, mirror headset audio to desktop.” You should now hear audio from both the headset and PC speakers when running mixed reality. You may also notice some new error codes in Mixed Reality Portal to be more specific to certain failures. The Mixed Reality Portal app will also begin updating through the Store as we make infrastructure changes over the next several releases to support faster updates of mixed reality. [ADDED 6/15] Acrylic comes to menus and more! With Build 17692 you will notice new acrylic backgrounds in places on the system using these controls – for example when you right-click open apps in Task View. Apps using the SDK for this build or higher will see this change by default as well. Thanks for catching this Michael! Note: This is a work in progress – more Fluent Design improvements to come in later flights. Apps and surfaces using custom controls will not be altered by this change. Storage Sense picks up a new skill: Starting with the Creators Update we embarked on a journey to help you automatically clean up storage when low on disk space. We expanded on that with the Fall Creators Update (hereand here), and today we’re taking the next step by adding the ability to automatically make any downloaded Files On-Demand online-only if you haven’t used them in a certain number of days. Head to Settings > System > Storage > Storage Sense to try out this new feature! We’d love to hear what you think. We fixed an issue resulting in audio glitching on systems with lots of firewall rules. We fixed an issue from the last few flights where Eye Control would fail fast and not start. We fixed an issue resulting in certain games, such as Counter Strike: Global Offensive, to crash on launch in the last two builds. We fixed an issue resulting in Settings crashing when attempting to open Data Usage Settings in the last few flights. We fixed an issue resulting in an unexpected “codecpacks.vp9” entry in the Start menu. We fixed a recent issue for some Insiders resulting in an explorer.exe crash with AppXDeploymentClient.dll. We fixed an issue resulting in some Insiders recently experiencing a bug check (green screen) with the error SYSTEM_SERVICE_EXCEPTION in afd.sys. With Build 17672 we made a fix for an explorer.exe crash in structuredquery.dll – that fix stopped anyone new from encountering the crash, however we heard your reports that anyone already impacted was still impacted. Today’s build has a fix for this issue that should resolve it for anyone who was already impacted. To improve discoverability, we’ve moved Delivery Optimization Settings to now be directly listed as a category under Settings > Update & Security. We fixed an issue in Microsoft Edge impacting websites like Facebook.com, where when starting a message only the first contact name entered was automatically resolved while typing. We fixed an issue in Microsoft Edge where if both images and text were selected, right-clicking on the image and selecting copy wouldn’t work. We fixed an issue resulting in the Windows Security app crashing recently when adding a process to the exclusion list. The login screen will crash in a loop when the active sign-in method is set to Picture Password. We recommend removing your Picture Password before upgrading to this build. This build will only be offered to Insiders running Builds 17655 and higher. You will not be able to update from RS4 to this build without first taking Build 17686 first. We’re working on adding dark theme in File Explorer and the Common File Dialog, but we still have some things to do. You may see some unexpectedly light colors in these surfaces when in dark mode. DRM video playback in Microsoft Edge from websites such as Netflix is broke on this build. But you should be able to use the Netflix app to play videos. Some Insiders may find increased reliability and performance issues when launching Start on this build. We’re investigating. There is a bug in these builds that will impact driver testing scenarios. When executing HLK Component/Device driver tests, you may experience a bug check that blocks test execution. We are aware of the issue and actively working on a fix. Due to a merge conflict some settings in Settings may be unexpectedly missing and / or missing their labels. The Settings for Keyboard Settings found in the Ease of Access center are missing text as well as visible values in the two combo boxes. Narrator users can interact with these controls and get some information pertaining to the settings that are available to them. If you have previously performed a Find using Narrator’s Find feature and you bring up the dialog the text will not be cleared from the field. Please refer to the Narrator Keyboard Layout documentation for other issues found in this release that pertain to Narrator. (Intro to New Narrator Keyboard Layout doc). ADDED: If you have a Surface Studio, it will fail to update to Builds 17682, 17686, and 17692. This bug is fixed and you will be able to update to the next build we flight. The Game bar may crash on x86 machines. Last night, Microsoft released Windows 10 Insider Preview Build 17682 (RS5) to Windows Insiders in the Fast ring in addition to those who opted in to Skip Ahead. We’ve heard your feedback and have been hard at work updating the new tab page to make it more obvious you can launch apps. When you click the plus button in a Sets window, you will now see apps included in your frequent destinations list. You’ll also find that we’ve integrated the all apps list into this page so you can browse your apps, rather than just using the search box – apps that support Sets will launch into a tab when clicked. If you have News Feed selected, simply click the “Apps” link next to “News Feed” to switch to the all apps list. Note: This is a server-side change flighting up for Insider who is on recent builds. Game mode minimizes the screen to screen latency to make gaming over a wireless connection possible. Video mode increases the screen to screen latency to ensure the video on the big screen plays back smoothly and without glitching. Productivity modes strikes a good balance between game mode and video mode where the screen to screen latency is responsive enough that typing feels natural, while ensuring videos don’t glitch too often. By default, all connections start off in productivity mode. Stay tuned to this space as even more functionality is coming to the banner! Can’t wait to hear what you think of banner. Let us know via the Feedback Hub! Web Authentication preview: Microsoft Edge now includes unprefixed support for the new Web Authentication API (a.k.a. WebAuthN). This evolves our previous support for the WebAuthN specification to enable the updated version of the API by default. Web Authentication provides an open, scalable, and interoperable solution to facilitate authentication, which replaces passwords with stronger hardware-bound credentials. The implementation in Microsoft Edge allows users to use Windows Hello (via PIN or biometrics) and external authenticators like FIDO2 Security Keys or FIDO U2F Security Keys, to securely authenticate to websites. We’ll have more to share about Web Authentication in Microsoft Edge soon! What does that mean? You no longer have to manually download RSAT every time you upgrade! Just go to “Manage optional features” in Settings (the fastest way there is to search for that) and click “Add a feature” – you’ll now see all of the RSAT components listed. Pick the ones you want, and the next time you upgrade Windows will automatically ensure all those components persist the upgrade (just like any of our other on-demand features, like speech resources or OpenSSH). Thanks to everyone who logged feedback asking for this! We’d love for you to try this out on today’s build and let us know what you think. Note: The “Add an optional feature” page will take a long time to load the features the first time you go to the page. This is still a work in progress, and you may find that some of the RSAT components fail to install and/or launch. We are working to address this. If you do encounter installations issues, deleting this registry key may resolve them: HKEY_LOCAL_MACHINE\SOFTWARE\Microsoft\Windows\CurrentVersion\Policies\Servicing\LocalSourcePath. You may see this window showing after you upgrade. Don’t worry – all your stuff is still there! We know some of you bought and setup your devices a long time ago – the features available in Windows have changed since then, so we’re giving you an opportunity to go through the setup questions you may have missed to ensure your device has the best setup possible. Click “Let’s Go” to go through those setup questions or click “Skip for now” if you want to go straight to your desktop. The conditions for showing this page are cloud programmable and may change over time. We fixed the issue for Windows Insider Program for Business folks where PCs using AAD accounts to receive new flights (via Settings > Update & Security > Windows Insider Program) where they would see a “Fix me” option presented and couldn’t to receive the latest flights. We’re experimenting with adding tips and suggestions to the Settings homepage. If you see one of these, you can choose to opt out by clicking the “…” in the top corner. We fixed an issue resulting in some apps missing pinned and recent items when you right-clicked their icons in the taskbar. We fixed an issue resulting in File Explorer showing blank/generic icons for any file type associated with a UWP app. We fixed an issue where Alt + Tab would sometimes unexpectedly have duplicate entries for app windows in recent flights. We fixed a crash when asking Cortana to play any music in recent flights. This issue also impacted the ability to launch apps using voice commands. We fixed an issue where if the taskbar jump list didn’t show (for example if you clicked away before it finished launching), the next time you watched a video full screen the taskbar would unexpectedly appear on top of the video. We fixed an issue where you couldn’t scroll to the end of the clipboard items list (WIN + V) using mouse wheel/touchpad. We fixed an issue where the wallpaper and app preview thumbnails were unexpectedly flipped when using Task View in Arabic or other bidirectional display languages. Screen snipping (WIN + Shift + S, or other entry points) will now default to rectangular snipping. Your most recent mode selection (rectangular or freeform) is preserved across invocations, so you may not notice a change if you have already been using this experience. We fixed an issue resulting in the “Add a feature” page in Settings not finding any features in the last few builds. We fixed an issue where text written using OTF fonts wouldn’t show up when printed. We fixed an issue resulting in some apps failing to launch recently with application error 0xc0000005 when certain antivirus software programs were installed. We fixed an issue impacting certain touch-capable devices where all Bluetooth accessories would periodically stop working until the screen was touched. We fixed an issue resulting in some explorer.exe hangs when using Remote Desktop, projecting your screen, or having multiple monitors in recent flights. This issue may also have led to Microsoft Edge hangs. We fixed an issue resulting in multiple Win32 apps and system components becoming unresponsive after waking from sleep in the last two flights. After updating to this build, Mixed Reality Portal will reinstall the Mixed Reality Software and environment settings will not be preserved. If you need your Mixed Reality home experience to persist, we recommend skipping this build until these issues are fixed. Some Insiders may experience some bugchecks (GSOD) on this build with “Critical Process Died” error. If you have a Surface Studio, it will fail to update to this build with a “Your PC hardware is not supported on this version of Windows 10” error. Sets UX for Office Win32 desktop apps is not final. The experience will be refined over time based on feedback. The top of some Win32 desktop app windows may appear slightly underneath the tab bar when created maximized. To work around the issue, restore and re-maximize the window. Closing one tab may sometimes minimize the entire set. Tiling and cascading windows, including features like “View Side by Side” in Word, will not work for inactive tabs. The Office Visual Basic Editor window will currently be tabbed but is not intended to be in the future. 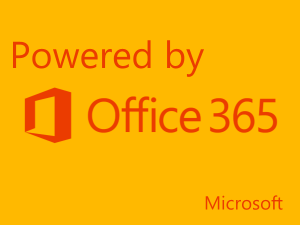 Opening an Office document while the same app has an existing document open may cause an unintended switch to the last active document. This will also happen when closing a sheet in Excel while other sheets remain open. Local files or non-Microsoft cloud files will not be automatically restored, and no error message will be provided to alert the user to that fact.